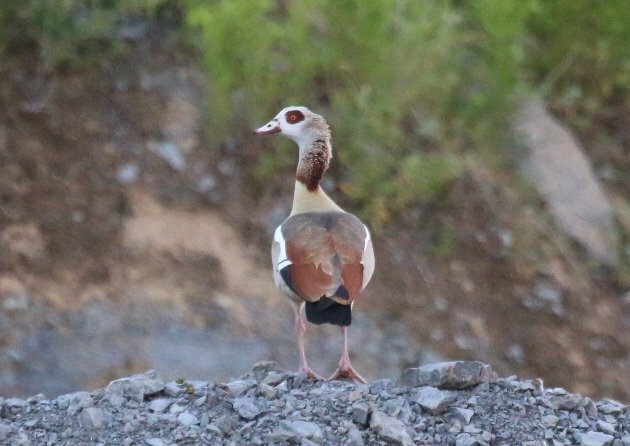 The ABA checklist committee has recently added the Egyptian Goose to the official ABA checklist, based on an established population in southeastern Florida. The reactions of the birding scene to this addition have been rather varied. Some rejoice at this news since it provides them with an additional tick. 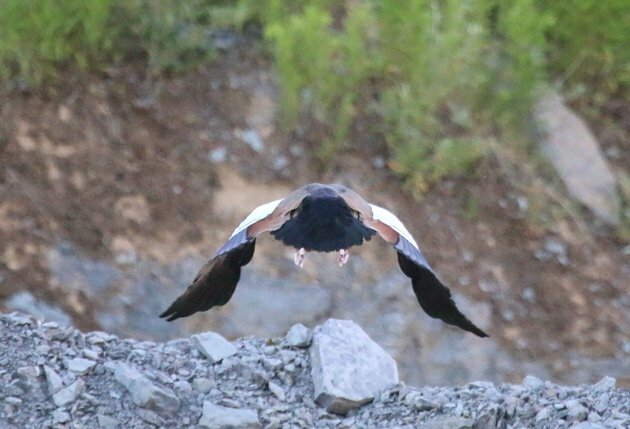 Some lament the invasive nature of the species and fear for the welfare of their native waterfowl. Others, like the Records Committee of the Florida Ornithological Society, are now hiring. 1 – The species occupies all habitats imaginable so long as they include some form of water. And while it may favour open wetlands in artificial landscapes, it will quite likely also expand to wilder places. Like old-growth forests along rivers of the Florida panhandle. 2 – Inspite of being a hardy species by nature, a trait formed over millions of years of having to make a living where elephant and lion come to drink, they will indeed and on rare occasions escape human presence by taking off and flying away from an observer. That is when the problems hit the fan. 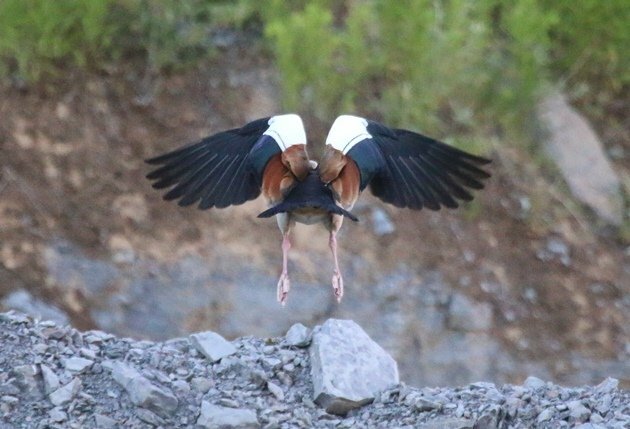 A perched Egyptian Goose poses identification challenges only to those who consult their field guide to ascertain that a “bird” is the thing with feathers, not fur. Even after take-off, they are usually easy to name correctly. And if this thing flushes from behind a tree at some bayou along the Choctawhatchee, there will be questions. Sends shivers up my spine! I live in the US but I am currently travelling in Germany. 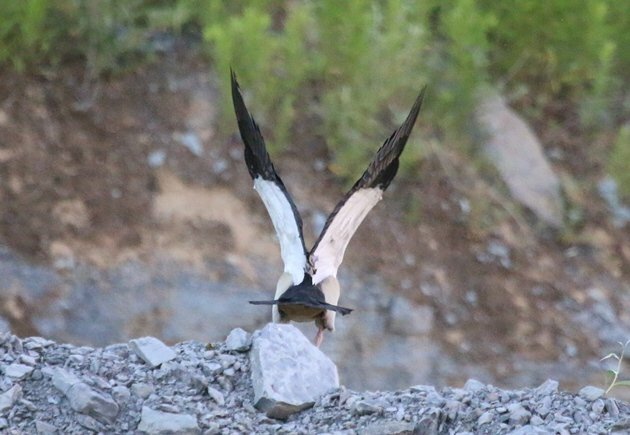 My husband and I saw several of these birds (we think) on a lake here in Freiburg, and also in the Mosel River near Muden. 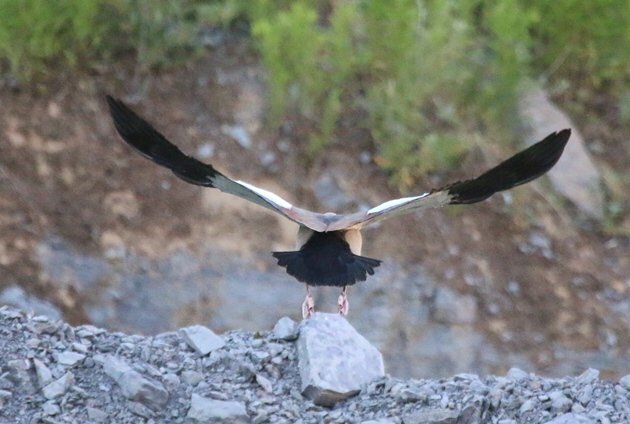 I could not identify it (because it did not appear in the online Handbook of Birds of the World when I turned on the Germany filter) until I came across your article here. Although you are writing about Florida, am I missing something? Are these geese also found in Germany? I could almost be certain that’s what we saw…. Thank you for any light you can shed! 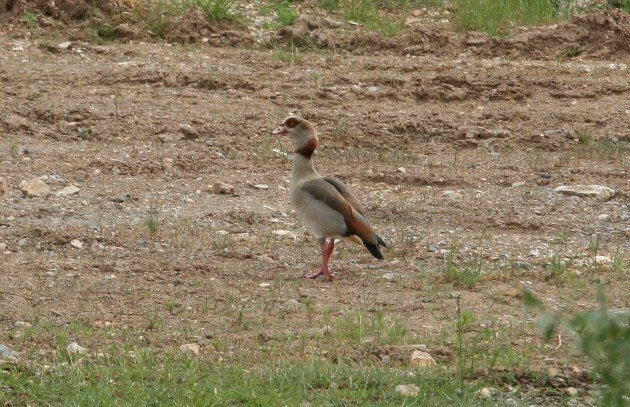 Yes, you very likely have been seeing Egyptian Geese around Freiburg and along the river Mosel. They have become one of the most dominant waterfowl elements here in Germany since the 1990s. Cheers, and I hope you enjoy my home country! !